CHICAGO — Mike Leake’s first trip to the south side ballpark now known as Guaranteed Rate Field, in its latest iteration, was less than enjoyable. 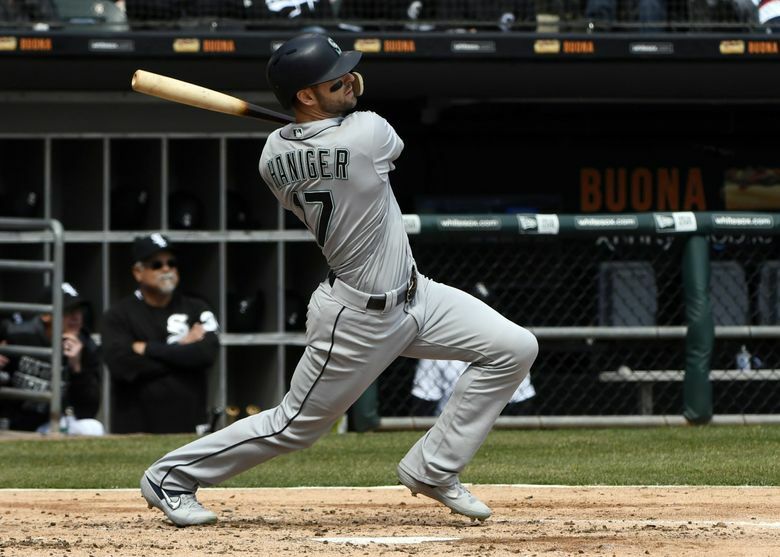 A 10-4 loss last April 23, it featured a five-run first inning that included seven consecutive hits to start the game and an exit with one out in the fourth inning after allowing a total of eight runs on 12 hits. There are outings you want to forget and some that need to be forgotten. That little adventure was one of them. “Oh, I remember it,” manager Scott Servais said. 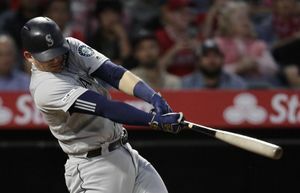 But in his return trip to the park, just about a year later, Leake delivered a redeeming performance in the Mariners’ comfortable 9-2 victory, bolstered by an offense that whacked three homers for an MLB-leading 24 on the season. With the win, Seattle improved to 8-2. Instead of removing it completely from his mind, Leake instead used last year’s shellacking by the Sox for a little reflection and motivation. The veteran right-hander tossed 6 1/3 innings, allowing two runs on nine hits with no walks and six strikeouts to pick up his second win of the season. Both runs allowed by Leake came on solo homers. He threw 106 pitches with a whopping 80 strikes. Leake wasn’t completely dominant. He worked 1-2-3 frames in the first, third and fifth innings, but had to pitch around traffic on the bases in his other innings and exited with two runners on base. He stranded five base runners. Standing at first base, Jay Bruce had witnessed these sorts of outings before from Leake during their time together in Cincinnati. Of course, Leake benefited from a Seattle offense that continues to blast homers and wear out starting pitchers and their pitch counts. 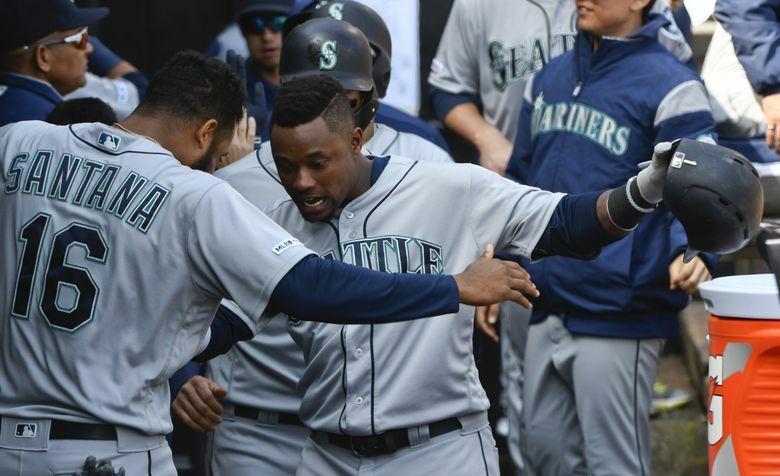 The Mariners got a pair of solo bombs from Bruce and a three-run shot from Tim Beckham, giving the team at least one homer in all 10 of its games this season. All nine of Seattle’s starting position players reached base in the game. 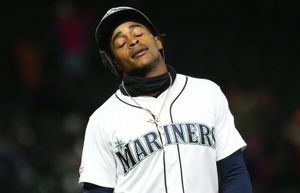 “We have enough power on this team that when we do get our pitch to hit, we have a good chance to hit the ball out of the ballpark,” Servais said. Seattle has scored fewer than five runs just once in those 10 games. To start the seventh, Leake gave up a solo homer to Tim Anderson, who had three hits off him, and allowed a pair of singles around a strikeout before Servais called on right-hander Brandon Brennan. There would be no repeat of yesterday’s bullpen fiasco with Cory Gearrin. Brennan, the Rule 5 draft pick, has been one of the Mariners’ better relievers early in the season. He proved so again, striking out Yoan Moncada and Jose Abreu to end the inning. The Mariners grabbed a 1-0 lead off Lucas Giolito in the third inning. Mallex Smith worked a two-out walk and scored easily on Mitch Haniger’s double into the left-center gap. Seattle tacked on three more runs an inning later off Giolito. Bruce’s first of two homers, in the fourth inning, sparked the rally. Ryon Healy later plated a pair of runs with a double to right field to make it 4-0. Abreu took a small piece out of Seattle’s lead with a solo homer in the bottom of the inning to make it 4-1. But Beckham got that run back and two more against Chicago reliever Jose Ruiz. Beckham’s three-run homer just got over the wall in left field to make it 7-1. He finished with four hits on the day to push his batting average to .410 on the season. Domingo Santana made it 8-1 with a run-scoring single in the sixth inning, adding to his team lead in runs batted in with 14.